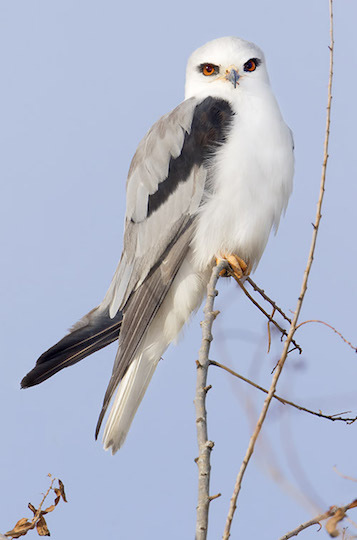 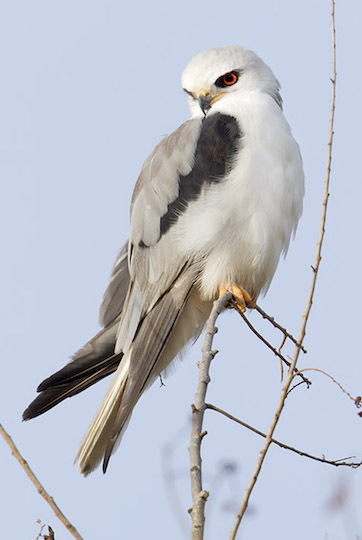 White-tailed kites are fairly common in coastal and central California; they seem to adapt to suburbs, fruit orchards, grassy fields, and farmland, as long as there are open areas where they can hunt rodents. 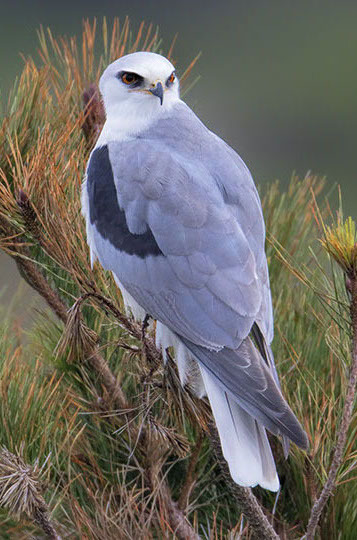 They tend to be shy, but these birds, photographed at the San Jacinto Wildlife Area near Riverside and on the Monterey Peninsula, were reasonably confiding. 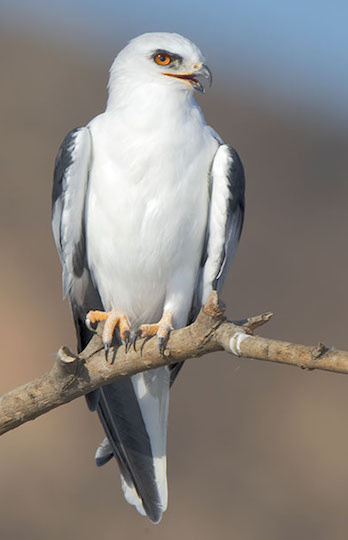 These kites have strangely robust feet for a bird that mainly eats Microtus and other small rodents. 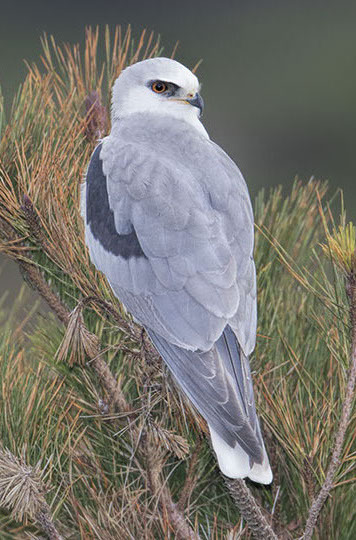 Another page has pictures of them in flight, and some images of juveniles. 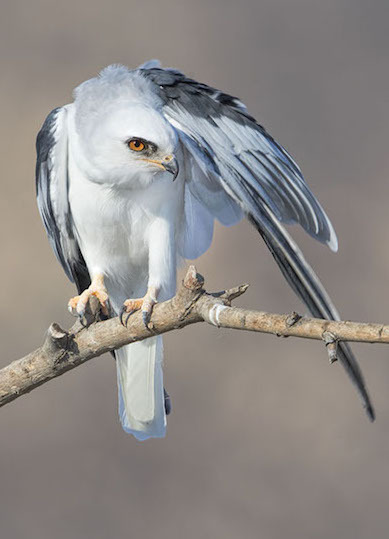 Because of the pale plumage that contrasts with a 'masked' face, these graceful hawks sometimes have an almost owl-like appearance. 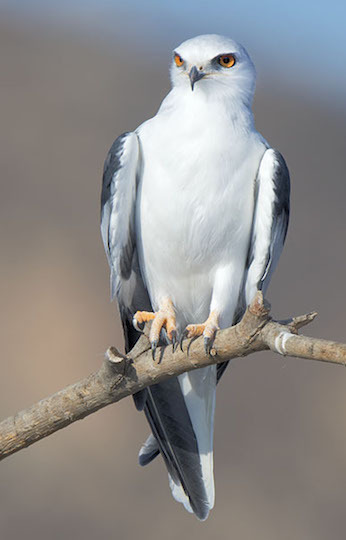 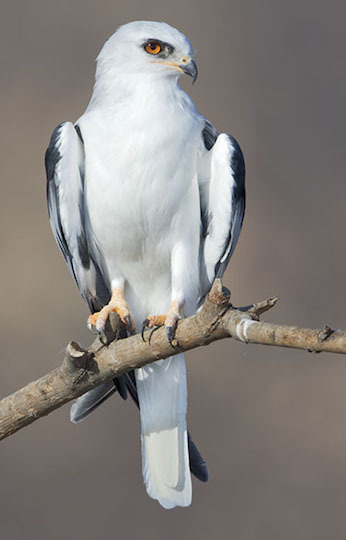 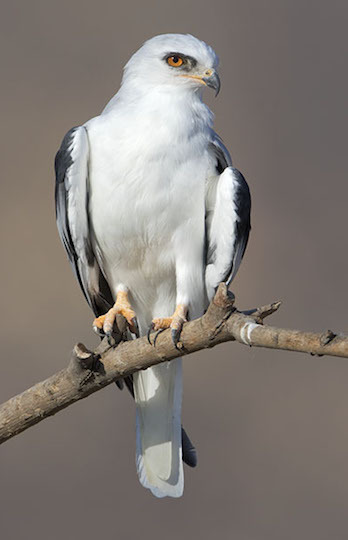 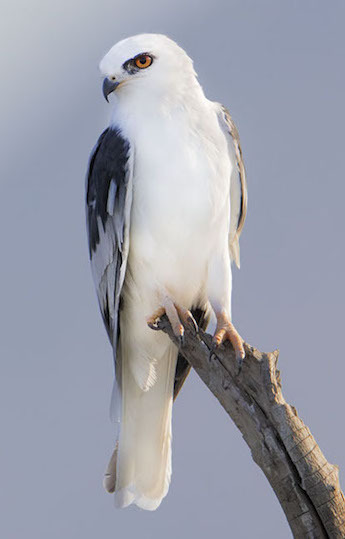 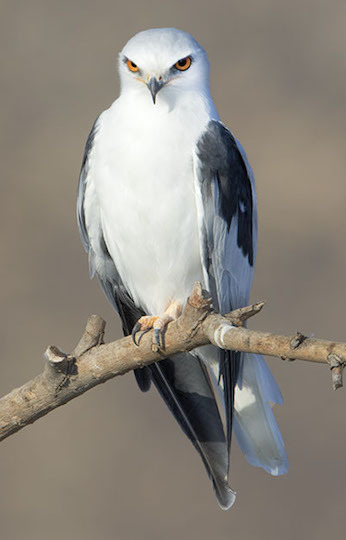 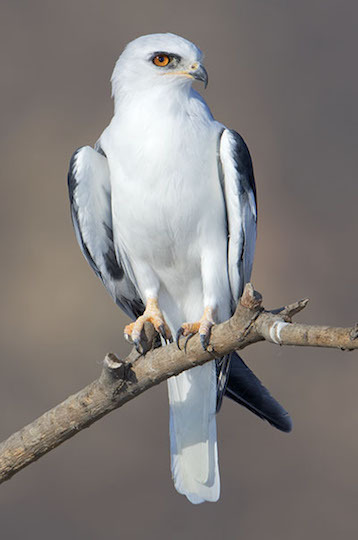 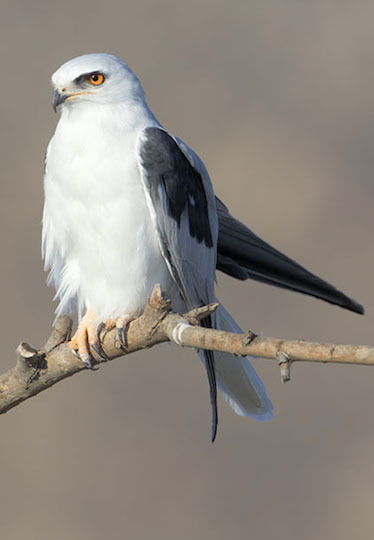 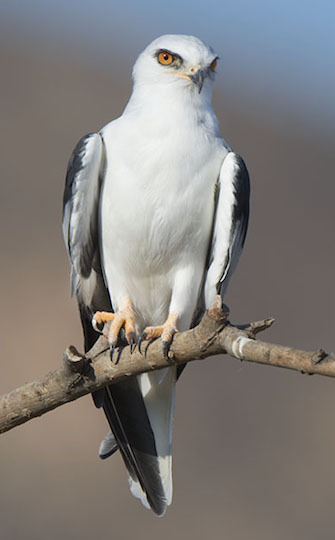 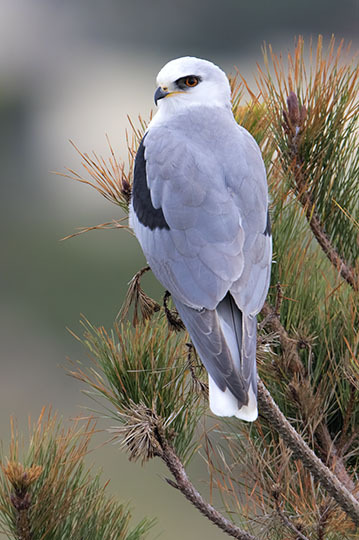 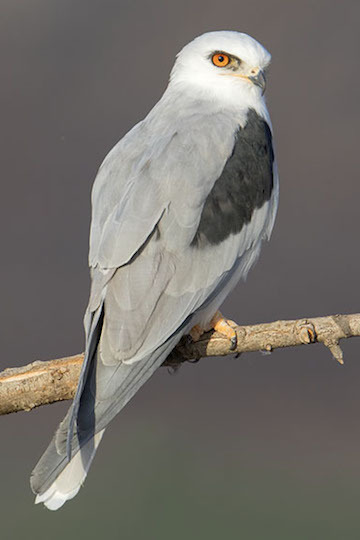 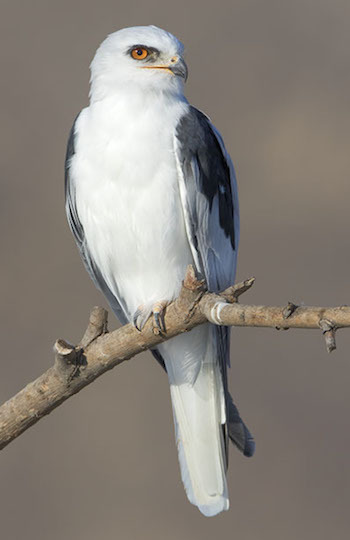 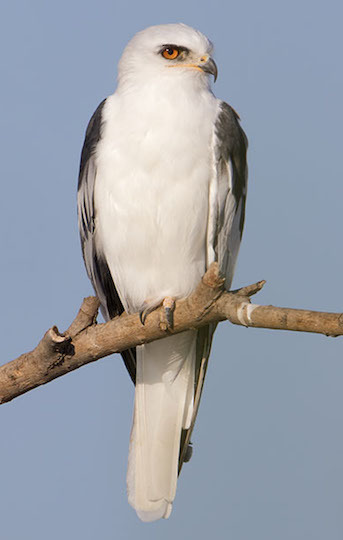 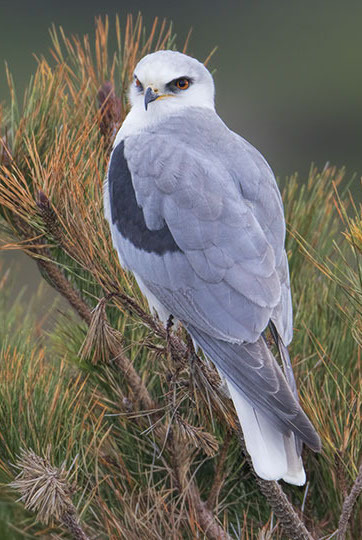 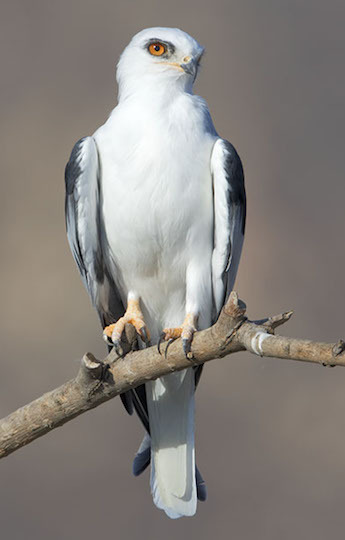 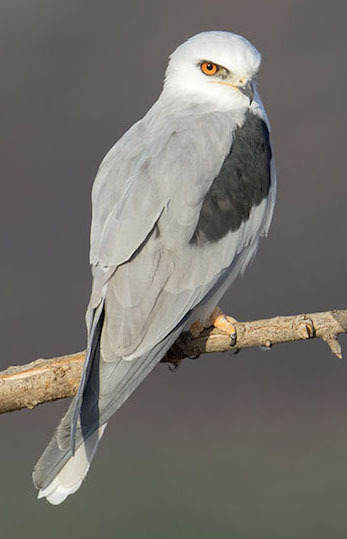 Close relatives, like the black-shouldered kite are found throughout most of the world except for isolated islands and the polar regions.